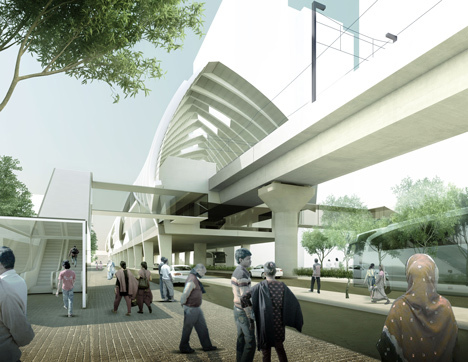 The firm will design sixteen elevated stations for the over-head line, which is a part of $3 billion plan to improve the infrastructure of the capital. The 12 mile metro line will communicate the residential north part of the city with the business hub southern part. Hiro Aso, director of the firm ruled the system as ‘a significant new infrastructure system for Dhaka’. They have published a demo design version of some parts of the metro that showed elevated train tracks supported on a series of piloti. 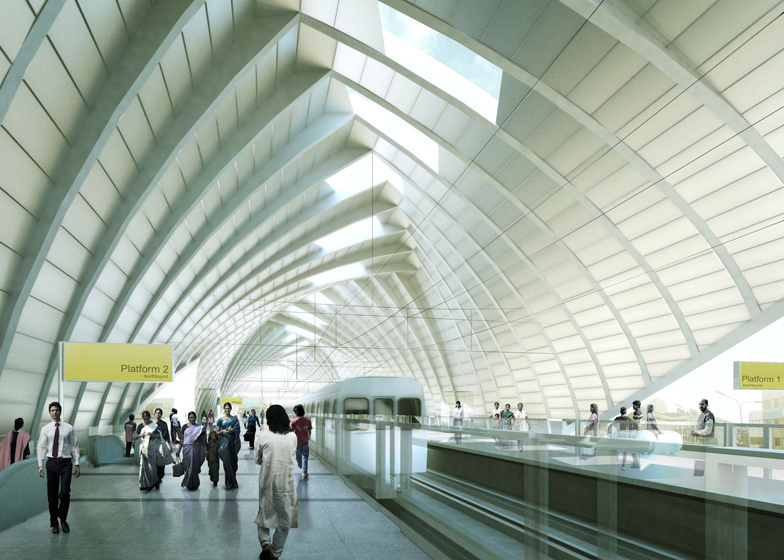 White perforated canopies arch over the tracks to let trains pass through the middle and provide cover for the station platforms are also seen. The canopies are designed with ample gaps to allow the light to illuminate the tunnel like structure below in rumination of Islamic architecture. White elevator shafts and stairwells connect the station platforms to the ground. “The line will form connections between areas of Dhaka in support of the wider urban strategy of decentralisation of urban activities and population from the centre to satellite communities,” said a statement from John McAslan + Partners. The whole project is expected to be fully operational by 2022 and to serve 500,000 a day by 2015.